When Golden State’s Andre Iguodala was selected as the NBA Finals MVP on Tuesday night, it prevented Warriors star and teammate Steph Curry from becoming the ninth NBA player to win a unique version of the league’s Grand Slam. 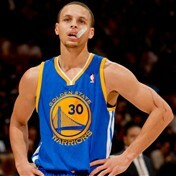 Curry led the Warriors to the league’s best regular-season record and a title while being named the 2014-15 season MVP. Iguodala, however, was named the Finals MVP. Eight players previously won the league MVP, Finals MVP, and saw his team win the most games in the regular season and win the title. Here’s a look at those players who won the league MVP and Finals MVP in the same year their team won the most regular-season games and the NBA title. Note: Michael Jordan almost accomplished this feat a third time, but his Bulls tied for the most regular-season wins in 1998 with the Utah Jazz; Tim Duncan in 2003 was league MVP, Finals MVP and saw his Spurs win the NBA title, but the Spurs were tied for most regular-season wins that year with Dallas. In the 60 seasons the NBA has awarded an MVP Award for the regular season (since 1955-56), the league MVP’s team has played in the NBA Finals that year 31 times. Of those 31 times, the league MVP’s team has won the title 23 times (Curry and the Warriors were the 23rd time). The regular-season MVP has also been the Finals MVP 15 times: Willis Reed (1970), Kareem Abdul-Jabbar (1971), Moses Malone (1983), Larry Bird (1984), Larry Bird (1986), Magic Johnson (1987), Michael Jordan (1991), Michael Jordan (1992), Hakeem Olajuwon (1994), Michael Jordan (1996), Michael Jordan (1998), Shaquille O’Neal (2000), Tim Duncan (2003), LeBron James (2012), LeBron James (2013). One final note: This year was only the second time in NBA history that a regular-season MVP saw his team win the NBA title but he did not win the NBA Finals MVP. The other time was in 1980 when Kareem Abdul-Jabbar won the league MVP and the Lakers won the championship that season, but teammate Magic Johnson was the Finals MVP.